Does your formula need a healthy kick of ginger? 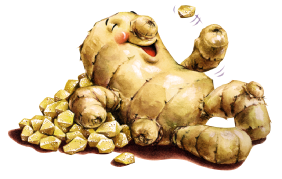 We’ve built our comprehensive portfolio of natural and organic ginger ingredients for all manner of food and beverage formulas. Our customers include commercial bakers, beverage manufacturers, sauce makers, ice cream companies chocolatiers, confectioners, repackers and distributors. By keeping close to our farmers and producers, we're able to ensure all of our products meet the highest standards. We also hold an extensive suite of third-party accreditations, assuring you and your customers of the superior quality of our ingredients. We’re happy to work with customers to create bespoke ingredients, although minimum order volumes apply. Our ingredient portfolio is Non GMO and free of artificial preservatives, colors and flavors. Please be aware, not all products are available in export markets. Please inquire. For general product information, download our Ginger Guide today to learn more.